Lina Joy v. Majlis Agama Islam Wilayah Persekutuan. The Becket Fund for Religious Liberty (n.d.). Retrieved from https://www.becketlaw.org/case/malaysia-state-imposed-religious-identities/. Lina Joy v. Majlis Agama Islam Wilayah Persekutuan. (Apr. 04, 2019). https://www.becketlaw.org/case/malaysia-state-imposed-religious-identities/. "Lina Joy v. Majlis Agama Islam Wilayah Persekutuan." The Becket Fund for Religious Liberty. Accessed [Apr. 04, 2019]. https://www.becketlaw.org/case/malaysia-state-imposed-religious-identities/. The story of Lina Joy is a poignant illustration of what happens when the government rejects the notion that individual conviction and choice have a role in religious belief. Lina Joy was born into an ethnic Malay, Muslim family but was led by conscience to convert to Catholicism in 1990. In 1998, she was baptized and married a Catholic man. Just one thing stood in the way of getting her marriage license: religion. The Civil Marriage provision of the 1976 Law Reform Act prohibits Muslims from solemnizing or registering marriage under civil law. Despite her affirmative declaration that she was a Christian, she was denied a civil marriage registration because her identity card designated her as Muslim. The designation could not be removed until Lina Joy obtained an order from the Sharia court stating that she had become an apostate – legally labeling herself as someone who defies God. Lina Joy took the matter to the civil courts, but to no avail. Her application was dismissed, partly on the grounds that Malays cannot renounce Islam, because the Malaysian Constitution defines ethnic Malays as Muslim by birth. The civil court affirmed she must first go to the Sharia court. She refused, arguing that it is not the place of any court to legitimize the convictions of her conscience. 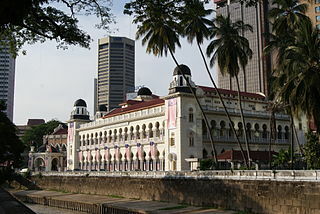 In 2007, despite several appeals in the civil courts with the Becket Fund providing legal counsel, the Federal Court of Malaysia ultimately refused to recognize Lina Joy’s conversion from Islam to Christianity. As a consequence, her marriage is considered invalid by the state. protections in well-functioning constitutional democracies.